It’s the imitation game, the grace and the beauty of a swan can be beautifully portrayed to your home décor. 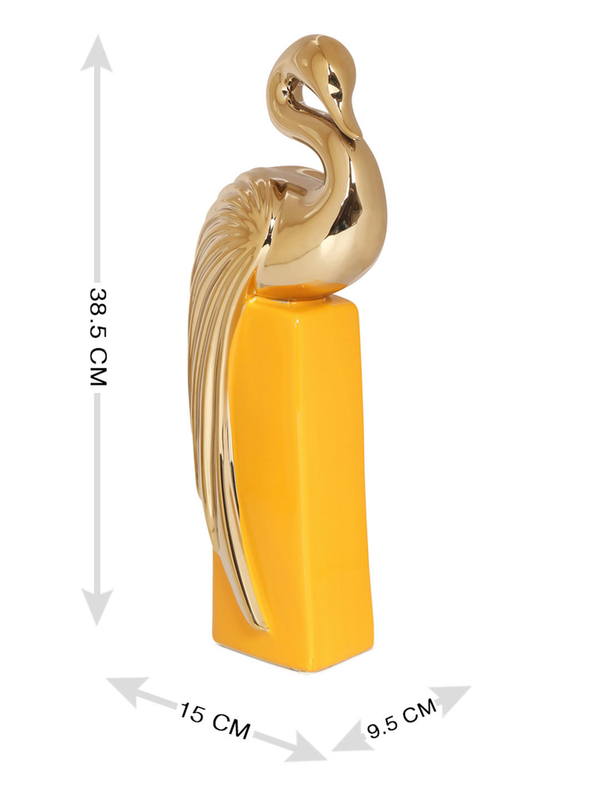 Swan Lux Showpiece is sculpted with the high-quality material to capture an artistic detail, supplemented with a classy mustard color stand which adds a charm to your space in a unique way. It is the perfect blend of beauty and functionality to your living. Well, the divine swan acts as a companion of love, devotion, and peace among your family gatherings.